Nearly a decade after its renaissance, it makes sense that pop-punk is now back with a vengeance with a crowd that hasn’t forgotten. Good Charlotte has come back into the limelight after almost 6 years and needed a fresh digital re-brand. 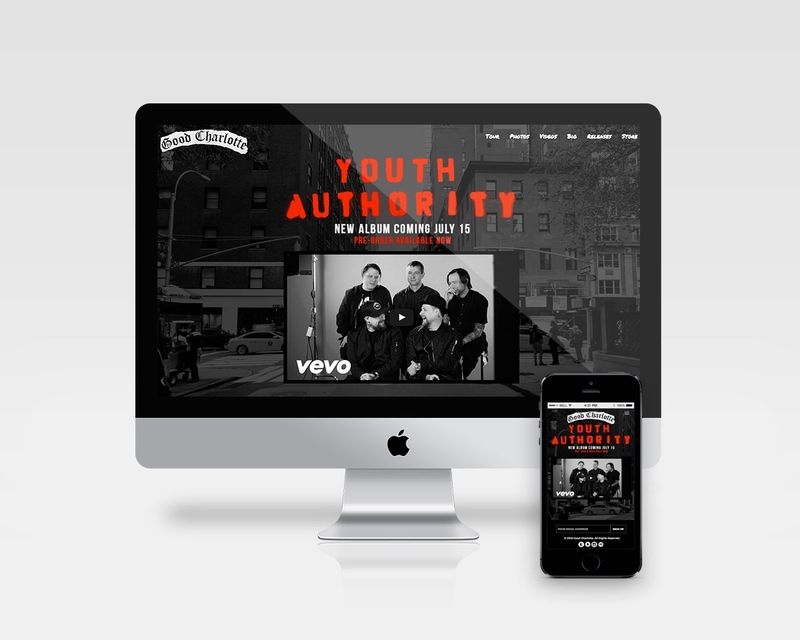 We were more than happy to get the band set up on a custom responsive WordPress-based theme with a CMS that allows a gamut of multimedia uploads and integrations. As the band releases their latest album, the site will continue to grow with content as well as new creative ways to display that content.